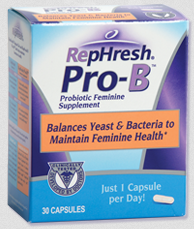 FREE RepHresh Pro-B Feminine Probiotic Sample! Keep in mind that if you’ve requested a sample in the past, you are not eligible for this offer. Allow 6-8 weeks for sample delivery.